The leading manufacturer of the best engineered, removable insulation systems, insulation covers, jackets and blankets for over 30 years. The company was established in 1987 as a design, manufacturing and full service company, providing high quality, low maintenance Engineered Insulation Systems for the industry. In a short time Advance Thermal Corp. (ATC), has become an undisputed leader of the industry. The qualities of the products we provide are in a class by itself. Our engineering and manufacturing capabilities are beyond reach by any of our competition. Advance Thermal Corp. is an exceptional, consistent and reliable partner to industrial companies, industrial insulation contractors and OEMs providing a wide range of removable insulation systems for fittings and mechanical equipment. 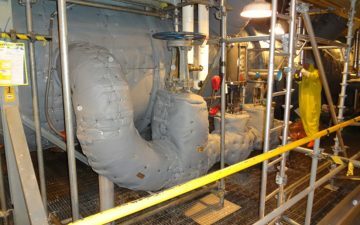 Additionally, ATC created a patented SPACE-JAK industrial cover using next generation PTFE-coated fiberglass, providing heat-reflectivity which lowers internal cooling costs. Lastly, to significantly lower sound, Advance Thermal Corp engineered ACOUSTIRAP® that has a sound transmission class (STC) of 55. Advance Thermal Corp. is headquartered and has manufacturing in Wood Dale, IL and an additional location in Jacksonville, TX. Advance Thermal Corp. (ATC) designs and manufactures a full line of industrial insulation products and systems. 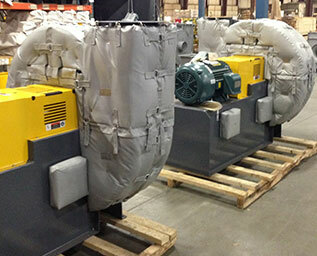 ATC is your custom “industrial tailor” who provides insulated or non-insulated solution for any application. The only limit is our customer’s imagination! Advance Thermal Corp. has been working with the Nuclear Power industry for over 30 years. In fact, we service the largest Nuclear Power producers in the USA and Canada. 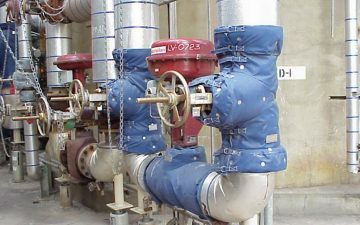 Advance Thermal Corp. manufactures thermal, acoustical, chilled water and personnel protection insulation systems and single covers for any and all valves, as well as complete modules. 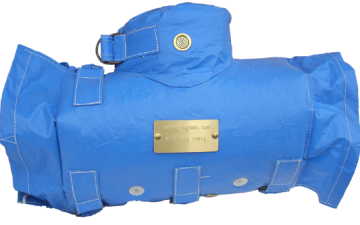 Looking for reusable and removable insulation?